A fulfillment warehouse handles inventory management, order packing and shipping, and related services for ecommerce sellers. Some fulfillment warehouses cater to small sellers and startups, and most offer some type of specialty services like batch fulfillment, secure storage, oversize shipping, or international sales. The right solution ultimately depends on your product mix and shipping needs. A smart place to start your fulfillment warehouse search is with the free matchmaking service, FulfillmentCompanies.net. The company has fulfillment industry pros who have pre-screened more than 600 fulfillment warehouse services, and they’ll match your needs to the best fit. Get a free quote today. Ecommerce sellers use warehouse services to outsource the daily grind of handling stock, packing, and shipping orders. Efficient fulfillment operations are key to ecommerce success; however, in-house operations are not always the most economical or feasible. Many businesses can grow faster by outsourcing order fulfillment and focusing on marketing and product development. Cost – A fulfillment warehouse must provide an economical, no-surprises alternative to in-house warehouse fulfillment operations. Quick Fulfillment and Delivery – Shipping orders out same-day and nationwide warehouse coverage ensure packages arrive quickly for minimal shipping costs. Simple Platforms Integrations – Most small business warehouse fulfillment solutions take care of the tech for you. Order Accuracy – The top fulfillment warehouses have one primary goal—shipping accurate orders so your customer is happy. Scalability – Businesses outsource warehouse fulfillment tasks in order to grow, and the top providers can scale to meet demand. Specialty Services – Some shippers need special handling for fragile or luxury goods, others require product kitting, subscription box assembly, or international shipping. We recommend FedEx Fulfillment as the best overall fulfillment warehouse for small businesses for 2019. Launched in 2017, FedEx Fulfillment delivers an economical solution for basic fulfillment needs, plus many added perks. Its low order minimums, global shipping, freight options, and specialty packing services cover virtually all of the small business fulfillment bases. FedEx Fulfillment tops our list of the best fulfillment warehouse services for 2019 because it delivers the most complete solution under one roof—and does so very economically. Low minimums are startup-friendly, 130 U.S. warehouses enable one- to two-day shipping nationwide, and specialty packing services and global distribution are ideal for brands looking to grow. FedEx Fulfillment storage, pick-and-pack, and shipping fees are very economical and transparent. Storage charges are assessed per cubic foot—like Amazon FBA. Other fees are based on published rates covering order processing, item pick-and-pack, and any add-on services. Discounted FedEx shipping rates are based on overall sales volume. FedEx Fulfillment delivers the most comprehensive, end-to-end fulfillment solution for small business. It can neatly tie your inbound stock shipments, order fulfillment, delivery needs, and returns management under one integrated management system—and can do so on a global scale. Plus, its cutting-edge management tools give clients complete oversight of day-to-day operations. Quick Delivery – More than 130 nationwide warehouses ensure your stock is geo-targeted for one- to two-day deliveries to most U.S. locations. Plus, sellers can expand internationally with cross-border shipping and localized fulfillment options. Simple Platforms Integrations – FedEx Fulfillment integrates with the top ecommerce and seller marketplaces, and provides a client portal to oversee sales, inventory, and shipping operations in real-time. 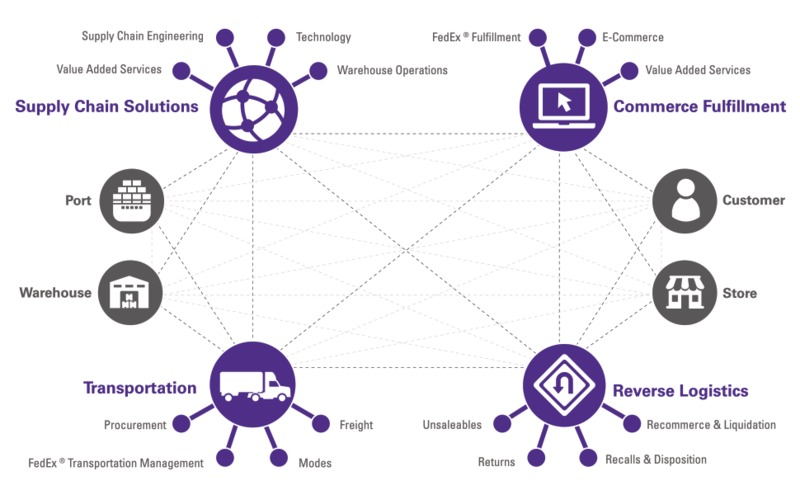 Order Accuracy – FedEx Fulfillment enables the latest warehouse fulfillment technologies to ensure order accuracy, real-time stock status reports, and forecasting data. Scalability – FedEx Fulfillment supports virtually unlimited growth, and can quickly expand or reduce capacity to match demand. Specialty Services – Global shipping and distribution sets FedEx Fulfillment apart from the rest, but that’s not all. Gift services, subscription box kitting, and branded packaging are available with clear per-order or project-based fees. FedEx Fulfillment is the small business division of FedEx Supply Chain services and can take your business as far as it can grow. FedEx Fulfillment does not offer batch-only services. It does provide batch fulfillment for daily shipper clients as-needed, but not as a project-based service. Beyond that, there is little that is missing from FedEx’s comprehensive services. FedEx Fulfillment is a newer service, so there aren’t many online reviews—and notably, no bad reviews. The best way to understand how FedEx Fulfillment meets small business needs is to explore client case studies. These document how FedEx Fulfillment has benefited several unique businesses. See more in our FedEx Fulfillment user reviews. You can visit FedEx’s website to schedule a call with a fulfillment pro. They will explore your business’ fulfillment warehouse and shipping needs, average stock levels, order volumes, growth goals, and budget—plus answer any questions you have about FedEx Fulfillment’s services. Get a free consultation here. ShipBob provides a full range of startup-friendly fulfillment services, including budget-friendly batch shipping for product launches, promotional programs, and crowdfunding rewards. ShipBob is also one of a few small business-friendly solutions that operates a nationwide network of fulfillment warehouses that puts your products within a one- to three-day delivery time to most U.S. locations. ShipBob combines order packing and shipping costs into a single “fulfillment fee.” This is quoted based on the products you sell, average order size, and overall order volumes. ShipBob charges charge flat fees for storage and inventory receipts, but to get a complete idea of ShipBob’s costs, you’ll need to request a quote. ShipBob’s account minimum of 100 orders per month is very accessible for low-volume sellers. Even if your volume isn’t there yet, don’t hesitate to call. ShipBob is happy to discuss fulfillment needs for startups and growing businesses. Another standout and startup-friendly feature is simple integrations with top ecommerce platforms, seller marketplaces, and even crowdfunding systems. Quick Delivery – ShipBob operates several fulfillment warehouses nationwide and geo-locates your stock for optimal shipping times and costs. Simple Platforms Integrations – ShipBob takes care of connecting to your website and sales channels via direct integrations with top ecommerce platforms and seller marketplaces. Plus, it provides a client portal for real-time reporting on inventory levels and order status. Order Accuracy – ShipBob has stock tracking, item scanning, and internal tracking technologies to ensure items are stocked correctly and pulled and packed accurately. Scalability – ShipBob helps you control costs by adding storage and personnel to your account to meet increased sales demand, or quickly shift them away if sales are slow. Specialty Services – ShipBob leads the pack in batch fulfillment services for product launches and crowdfunding campaigns, and it also offers specialty kitting, subscription box support, and other packing services for added fees. ShipBob’s client portal delivers inventory status and sales reporting for all channels within one convenient system. Low storage fees are about the only thing you don’t get with ShipBob. In a comparison of several providers, ShipBob’s storage fees tend toward the high side. If you have a large number of items to stock over time, ShipBob may not be the best choice for your business. Also, ShipBob isn’t an Amazon Prime-approved seller. If you’re an Amazon seller and want your products to be Prime-eligible, you’ll need to use Fulfillment by Amazon (FBA) or an FBA fulfillment partner like Whitebox. ShipBob is a large fulfillment warehouse company that services many thousands of sellers. There are plenty of sellers that are pleased with everything that ShipBob has to offer. However, in online reviews, there are some that did not find it a good match. If you clearly discuss your needs and budget with ShipBob, you’ll know whether it’s the best choice for you. See more in our ShipBob user reviews. You’ll want to set up a call with a ShipBob specialist to explore your inventory levels, product mix, and shipping needs and see where their services align with your goals. After this conversation, your ShipBob representative will provide a detailed quote with inventory storage estimates and proposed order pick, pack, and ship fees based on your needs assessment. Click here for a free quote. Red Stag Fulfillment caters to ecommerce businesses selling high-ticket items, oversized goods, heavy products, and items that require light assembly or customization prior to shipping. Volume sellers are not Red Stag’s primary focus. If you sell bulky or special-handling goods, Red Stag is happy to talk—even if you average just 50 orders per month. Red Stag Fulfillment’s inventory receiving, stock storage, and order pick-and-pack fees are readily available and easy to understand. Plus, it works closely with FedEx to negotiate discounted heavy and oversize rates for its shippers, resulting in some of the lowest shipping rates in the industry. Specialty prep or packing fees are handled via quote. Accuracy drives every aspect of Red Stag’s warehouse fulfillment operation. Video monitoring tracks goods in storage and throughout the pick, pack, and ship process—resulting in 99%+ order accuracy rates and zero-shrink guarantees. Dedicated client representatives and cutting-edge technology round out Red Stag’s impressive warehouse fulfillment operation. Quick Delivery – Red Stag operates two U.S. warehouses; 97% of orders reach customers in two days, and 99% reach customers within three days. Simple Platforms Integrations – Red Stag’s technology team connects to all top ecommerce platforms, order management systems, and seller marketplaces to manage direct sales, drop ship, and custom orders from one central system. Clients can oversee everything in real-time via their client portal. Order Accuracy – Red Stag is so confident in its storage, packing, and tracking systems that if an order ships incorrectly, they remedy the issue for free and pay you $50. Scalability – Volume sellers aren’t Red Stag’s focus, but it is more than capable of scaling to meet your growth. In fact, its comparatively low storage fees support economical stock expansion. Specialty Services – Customization services, light assembly, and specialty packaging are all available for reasonable added fees. Red Stag even runs efficiency assessments to ensure added services benefit your bottom line. Per-item pick and pack fees can get pricey if your orders tend to have many individual SKUs, or if you sell things liked mixed-color sets or build-your-own groupings of unique items. And they’re not focused on batch shipping at all. Try ShipBob or Ships-a-Lot for your batch fulfillment needs. Other than that, Red Stag Fulfillment provides a great value for its target clientele. Red Stag Fulfillment boasts stellar customer reviews, which shows that it means what it says by its accuracy, zero-shrink, and fast-fulfillment guarantees. Users also appreciate Red Stag’s continued efforts to keep oversized and bulky shipping rates low to benefit their bottom line. See more in our Red Stag Fulfillment user reviews. Red Stag Fulfillment experts are happy to talk about the items you sell, your storage and shipping challenges, stock volumes and levels, and fulfillment goals. Or, if you’re working on a startup launch, they’re happy to discuss fulfillment needs upfront. Whatever your needs, Red Stag will compile a fulfillment program, including any specialty services, to help you plan your next step. Click here to get your free quote. Ships-a-Lot is a top fulfillment warehouse for high-volume, small ecommerce and crowdfunding fulfillment, with a special nod to Shopify stores. A certified Shopify Partner, Ships-a-Lot integrates beautifully with every aspect of Shopify’s powerful ecommerce platform. In fact, nearly 90% of Ships-a-Lot’s fulfillment clients are Shopify stores. Like ShipBob, Ships-a-Lot customizes pick-and-pack fees based on the items shipped and overall shipping volume. However, unlike ShipBob, shipping charges aren’t rolled into its fulfillment costs. Shipping is billed separately, and Ships-a-Lot passes its low discounted carrier rates directly to clients. 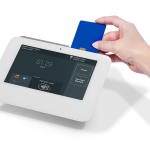 This offers substantial savings compared to running an in-house fulfillment operation. Ships-a-Lot offers fulfillment warehouse services including secure stocking, guaranteed accurate pick-and-pack, batch fulfillment, and discounted shipping. Its warehouse fulfillment operation incorporates scanners and tablet-tracking technology to maintain a 99.98% accuracy rate. Its flat-rate $35 unlimited stock storage fee is an incredible fulfillment value, plus it passes ultra-low shipping discounts directly to clients. Quick Delivery – Ships-a-Lot operates 24/7 to get orders packed and out fast, averaging one- to three-day delivery times nationwide. If any performance promise is missed, they pay you $20 per occurrence. Simple Platforms Integrations – Ships-a-Lot specializes in high-volume Shopify sellers, plus integrates with BigCommerce, Amazon, eBay, and crowdfunding platforms. Order Accuracy – Like Red Stag, Ships-a-Lot embraces warehouse technology and prides itself on near-perfect order accuracy that averages 99.98%. Scalability – Volume is the name of the game at Ships-a-Lot. You can start small and grow to unlimited volumes with minimal storage fees. Send in one pallet containing inventory for one item or 10 pallets containing inventory for 1,000 items, you pay just $35 per month—talk about value! Specialty Services – Ships-a-Lot offers custom kitting and subscription box services, plus highly flexible batch fulfillment services for crowdfunding programs and product launches. Unlike ShipBob, Ships-a-Lot doesn’t operate several warehouses nationwide. So you don’t get the fastest possible delivery times compared to providers operating multiple warehouses. Also, Ships-a-Lot is more focused on the volume seller. If you sell under 250 orders per month and your stock doesn’t rotate fast, it might not be the right partner for you. Ships-a-Lot has a fan following with multiple five-star reviews online. Clearly, it delivers on its promises and satisfies both its clients and their customers. Reviews prove that its 24/7 operation, exceptionally low stock storage fees, and proven accuracy rates deliver what high-volume shippers need. See more on our Ships-a-Lot user reviews. Like the other fulfillment warehouse providers on our list, starting with Ships-a-Lot begins with a conversation. Reach out to Ships-a-Lot to set up a call—or send them your fulfillment overview via email. A Ships-a-Lot fulfillment pro will create a price quote based on the items you sell, your average sales volumes, sales platforms, and fulfillment goals. Fulfillment by Amazon (FBA) is the obvious fulfillment solution for Amazon sellers due to its many sales-driving benefits. For most, the fact that FBA-fulfilled items feature the Prime badge on Amazon is the top reason to use FBA. However, other perks like Amazon promotion eligibility, automated order management, and potential cost savings factor in as well. FBA fees are somewhat complicated compared to other warehouse fulfillment services. FBA classifies items by type (apparel, televisions) and size (small, large, and oversize), and applies storage and fulfillment fees accordingly. Managed well, FBA can be very economical. However, FBA users must understand how FBA fees work and pay attention to billing details to avoid overcharges. If you sell on Amazon in some volume, seriously consider using FBA. It’s hands-down the easiest way to sell and fulfill Amazon orders and ensure item listings feature the sales-driving Prime badge. It’s not a set-it-and-forget-it solution—no fulfillment warehouse service is—but it’s pretty close to turnkey fulfillment for Amazon-focused sellers. Quick Delivery – Quick FBA shipping times are driven by the Amazon Prime shipping guarantees, which have set the industry standard. Shoppers can select their delivery speed too, and Amazon orders largely arrive as expected. Simple Platforms Integrations – FBA obviously supports Amazon orders, but you can use FBA’s multichannel fulfillment portal to ship orders received on other channels, such as your website, eBay, and Etsy, via FBA. 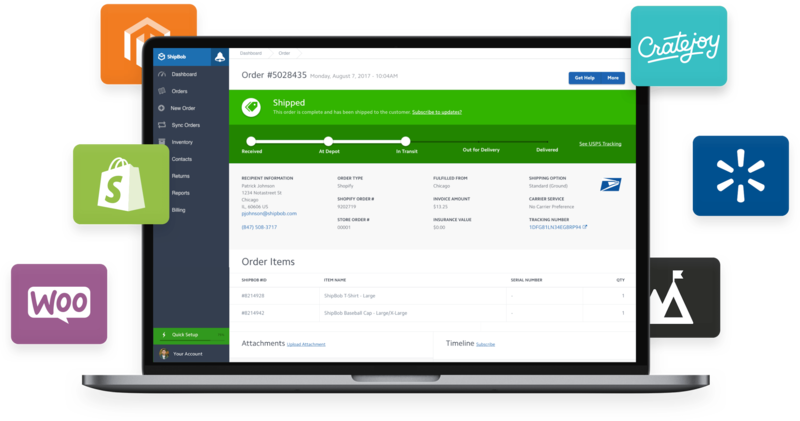 Third-party software helps sellers manage multichannel fulfillment through FBA. Order Accuracy – This is another place where Amazon sets the standard. FBA shipments have a very high accuracy rate, and if there’s an order or shipping error, it’s on Amazon to remedy—not the seller. Scalability – Sellers moving 10 products to millions of products monthly use Amazon FBA. It’s important to monitor stock levels closely to optimize costs as you grow, but you won’t outgrow FBA’s fulfillment capacity. Specialty Services – FBA is not a full-service fulfillment warehouse, so there are no specialty packing add-ons. Your items ship exactly as they’re received by FBA. However, FBA items are eligible for Amazon’s gift services, and offering this doesn’t add to your fulfillment costs. Amazon FBA is hands-down the easiest way to fulfill Amazon orders and it puts the sales-driving Prime logo on your Amazon product listings. Specialty services such as subscription box kitting or branded packaging are not available. Plus, FBA offers sellers little assistance beyond online tutorials and FBA instructions—it’s very self-directed. Once goods are in the FBA system, Amazon covers stock tracking, order packing, and shipping, but managing stock levels, inventory forecasting, and specialty packaging is up to you. Amazon sellers typically take the good with the bad when it comes to Amazon and FBA. There are complaints pertaining to FBA fees and stock issues, but Amazon sellers appreciate the benefits. For most, Prime eligibility, inclusion in other sales-driving Amazon promotions, and low overall costs override the negatives. See more in our FBA user reviews. You’ll need to open an Amazon Pro Seller account to access FBA tools. Once your account is set up, you can begin exploring FBA fees and inbound stock requirements, and initiate your first inbound shipment. There are no stock or order minimums to meet, either. 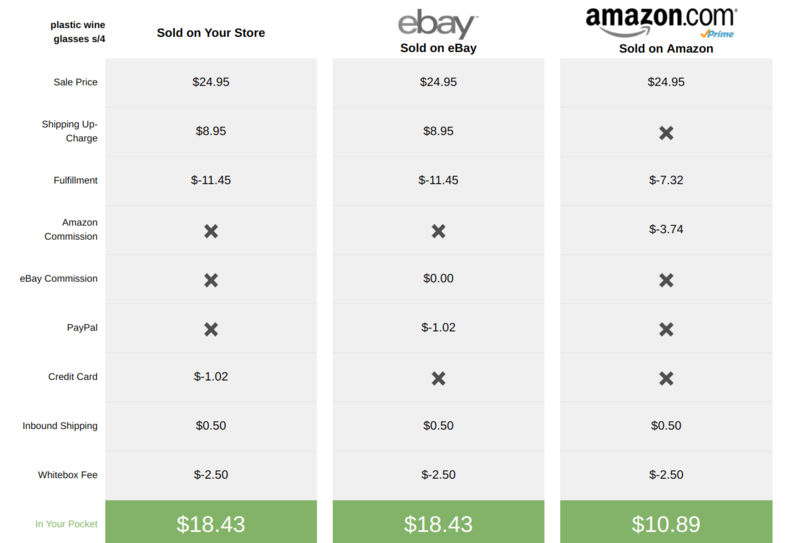 You can ship a single items into FBA to test it out—many do. Whitebox is a turnkey marketing and fulfillment solution for Amazon and multichannel sellers. Send Whitebox your products and they take it from there. Whitebox creates product listings on Amazon and other sales channels, optimizes FBA inventory on your behalf, and monitors sales. For businesses needing a hands-off direct sales solution, Whitebox delivers a total package. Whitebox pricing differs greatly from the other warehouse fulfillment providers on our list. Whitebox charges a $3,000 setup fee that covers initial marketing tasks like sales research, photographing items, and creating product listings on Amazon and other sales channels. After setup, Whitebox’s monthly fee is 10% of your total sales on all supported channels. Combining Whitebox’s 10% fee, Amazon Seller and FBA fees, and other marketplace seller fees, overall fulfillment costs can reach 25% to 40% of a product’s sale price. Therefore, Whitebox is really geared for product manufacturers with large markups of 250% or more. It’s not a profitable fulfillment warehouse for resellers working with slimmer margins. Whitebox leverages Amazon FBA for order fulfillment tasks and has mastered FBA inventory and product prep optimization to control costs. Whitebox closely monitors FBA stock levels to reduce storage fees, and ensures that stock levels meet forecasted sales velocity. It also handles all sales-side logistics—from crafting sales-driving product listings to managing customer service. Quick Delivery – By using Amazon FBA at its fulfillment warehouse, Whitebox delivers all of FBA’s shipping perks, including Prime eligibility and Amazon’s industry-leading reliability. Simple Platforms Integrations – A turnkey service, Whitebox handles all product sales and marketing technologies for you. You simply monitor reports and status. Order Accuracy – All orders ship via FBA’s proven system and if any errors occur, it’s on Amazon’s shoulders. Whitebox monitors order status and handles all customer service issues as well. Scalability – Whitebox services sellers of all sizes and can scale services to meet the needs of startups and enterprise accounts alike. Specialty Services – Whitebox offers custom kitting and specialty packaging services as part of its Amazon FBA shipment preparation service. If you want to sell gift sets, subscription boxes, or other combined products on Amazon, Whitebox handles every detail. Whitebox makes it easy to gauge profitability, too. Its free quick-quote service, shown below, provides fulfillment costs and profit estimates across all channels. Whitebox takes your product information and estimates fulfillment costs and profit potential across all sales channels. Whitebox delivers a turnkey consumer direct sales package for product manufacturers. But if you also sell goods wholesale to retail resellers, Whitebox can’t help with this. You’ll need to manage your own wholesale inventory, orders, and freight shipments yourself or via a distribution 3PL service. The true measure of Whitebox’s success is its Amazon seller rating—this hovers at five stars. Since Whitebox acts as the Amazon seller for your brand, this rating indicates FBA inventories are well-managed, items arrive as expected, products deliver on their promises, and—most importantly—your buyers are happy. See more in our Whitebox user reviews. Open a conversation with Whitebox by filling out a short form on the Whitebox website. 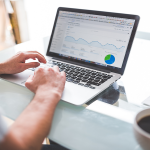 A Whitebox pro will contact you to discuss your multichannel sales, marketing, and fulfillment needs and determine if Whitebox is the right fit. If so, they will begin product research to determine initial product volumes and launch your onboarding process. If the six fulfillment warehouse solutions listed aren’t a ready fit, try the free matchmaking service, FulfillmentCompanies.net. Its team of fulfillment professionals compares your fulfillment needs and budget to more than 600 pre-screened fulfillment warehouse services to find your perfect fulfillment partner. FulfillmentCompanies.net is a free service dedicated to helping small businesses make smart fulfillment choices. It takes just a few minutes to complete your fulfillment assessment questionnaire. Once submitted, FulfillmentCompanies.net will provide quotes from fulfillment warehouses that fit your needs, along with contact information so you can follow up. Click here to get a free quote. Fulfillment warehouses deliver a full array of outsourced inventory management, order processing, and shipping services. Overall, FedEx Fulfillment delivers the most comprehensive small business solution and is designed to support virtually unlimited growth. But other fulfillment warehouse services fill all types of specialty needs, from batch fulfillment and high-volume shipping to products requiring special handling. If the solutions covered above aren’t the perfect fit, we recommend using the free matchmaking service, FulfillmentCompanies.net. Their seasoned pros will match your needs to more than 600 reputable fulfillment warehouse partners that can do the job. Get a free quote today. Contact FulfillmentCompanies.net to get quotes from fulfillment centers that specialize in overseas shipping and international fulfillment. They should be able to match you up with the right fulfillment company for your needs – and their matchmaking service is free, too, good luck! I’d contact the fulfillment centers on this list, they all meet that criteria. Start with ShipBob, they have multiple locations all over the U.S. and that cuts your shipping time costs. Then maybe look at Ships-a-Lot, they’re very scrappy and have low inventory storage rates. But it can’t hurt to get quotes from all of the ones on the list to see who is the best deal. Good luck! I’m a dropshipper from outside US. I sell on ebay but not much sales as I’m a new seller, (but I’m doing well till now) now I found a good product and I will buy it from alibaba , so I want a good warehouse that would fulfil my orders, packaging and shipping it to my customers in US. So I need your suggestions which will fit me the best regarding that I’m on budget. Start your search with ShipBob, listed above, or the other top picks on this list. All of these fulfillment providers can receive, store, and ship your US orders from eBay and other marketplaces. Good luck! Plus, two Flash sales with Touch Of Modern (29 orders) & Urban Daddy (71 orders), and we sell e-commerce but our website orders are low at about 10 per month. We are planning two more Kickstarters launches in 2018 plus more flash sales and e-commerce growth. We are looking for an order fulfillment/shipping/warehousing company to assist us in our early stages (and low budget) and continue to grow with us. Are you able to assist? If yes, please send a proposal. Sounds like you need a fulfillment company that can deal with both batch (for Kickstarter) and daily shipping as your ecommerce sales hopefully grow. We’re not a fulfillment center, but our reviews above cover some good options for you. Both ShipBob and Ships-a-Lot handle batch fulfillment for your Kickstarter campaigns and can help you as your daily ecommerce fulfillment needs grow. I’d contact both of them, we have links above that will take you to each of their websites for contact information. Hope this helps and good luck! Shipbob should not be on this list. You guys actually recommended them but they have been over charging me for about 30 days. They claim it’s a mistake but it’s happening every day, we have to screenshot every single order to get them to issue credit after they charged your card. I’m talking 200% in some cases and we discovered it by mistake, how many companies are they overcharging without them knowing. I’m fed up with them and won’t recommend them to anyone. I hope you get it resolved. My experience using several fulfillment partners is this: no one is perfect, they need to be managed, and you need to find the right fulfillment fit. It’s so important to understand the cost of handling fulfillment yourself first so you can judge whether or not you’re getting a good deal, spot overcharges, and quickly deal with costs that don’t seem right. You can certainly onboard with another fulfillment company pretty quickly these days if you feel you’re not getting the issue resolved. I’ve even run fulfillment from competing companies to see which was the better deal (I had two websites, that’s why that ploy worked). I hope you find a solution that works! Good luck!